Crypto players from around the globe are chiming in on the direction of the Bitcoin price in 2019. Will it continue to see price crashes? Or will the current recovery continue? Better yet, has the industry had a good year and will it continue to have significance in the new year? Earlier in the week, we heard from bears, like Erik Finman who called Bitcoin “dead;” and we heard from Spencer Bogart, a Bitcoin bull, who not only said BTC will continue to rise, but that 2018, contrary to popular belief, has been one of the best years for the cryptocurrency. Today, word surfaced that the President of Coinbase, Asiff Hirji, believes something similar to Bogart. Despite the crashes experienced in 2018 (such as the bearish run that sent the Bitcoin price to a low of $3,200), Asiff Hirji believes BTC is recovering. During the interview, Hirji spoke on the performance of the crypto market in the last year. According to Hirji, there’s been more innovation this year in the market. “We’ve never had as much innovation as we have today,” Hirji explained, citing, for instance, how cryptocurrencies are getting more visible. Spencer Bogart, also during a Fast Money interview, spoke on something similar, calling 2018 a “fantastic year” for BTC, despite the Bitcoin price crashes. Speaking also on innovation, Bogart said this year is the first time we have scaled the digital currency “with a lightening network,” making transactions quick and cheap. 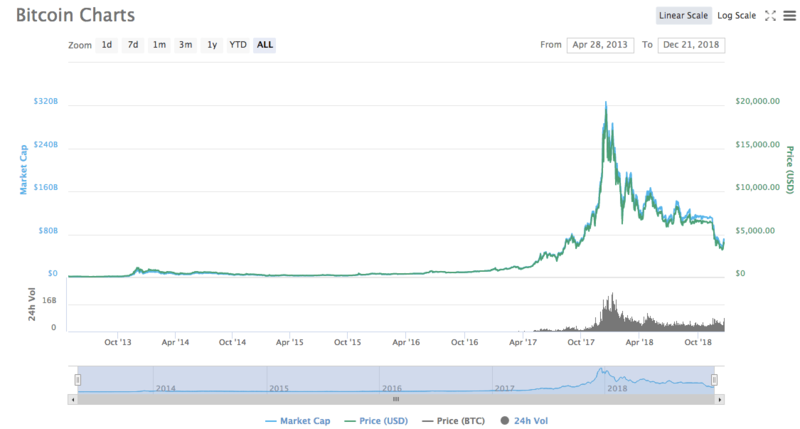 At the time of writing, the BTC price is $3,905.13. It’s vital to take comments such as Asiff Hirji’s into consideration. While it’s easy to oust BTC from your mind due to the recent Bitcoin price crashes, we must also recognize the good that occurred during the year, such as an increase in innovation.